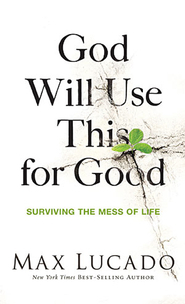 This short book would make a good gift or recommendation for Christians that are currently going through a rough time. Lucado’s story telling connects well with readers by continually making connections between the biblical subject and the relevant points to our own lives. Lucado has written a helpful manual for believers who need guidance in their pain by helping us trust in the God who always trumps evil for our own good.